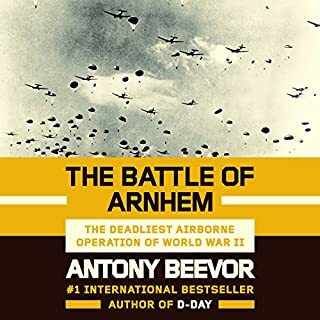 The Hitler Youth division was assigned the mission of the Führer's Ardennes offensive: Capture the main highway to the primary objective, Antwerp, whose seizure Hitler believed would end the war. Had the Germans taken the Belgian port, it would have cut off the Americans from the British and perhaps led to a second, more devastating Dunkirk. 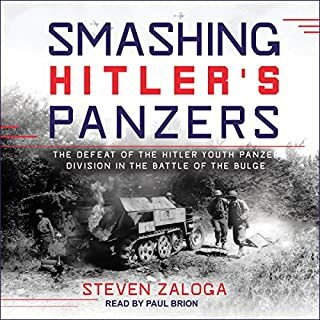 Author Steven Zaloga describes how American foot soldiers faced down Hitler's elite armored spearhead - the Hitler Youth Panzer Division - in the snowy Ardennes forest during one of World War II's biggest battles, the Battle of the Bulge. During the second half of 1943, after the failure at Kursk, Germany’s Army Group South fell back from Russia under repeated hammer blows from the Red Army. Under Erich von Manstein, however, the Germans were able to avoid serious defeats, while at the same time fending off Hitler’s insane orders to hold on to useless territory. Then, in January 1944, a disaster happened. On the first Sunday in December 1941, an armada of Japanese warplanes appeared suddenly over Pearl Harbor, Hawaii, and devastated the U.S. Pacific Fleet. Six months later, in a sea fight north of the tiny atoll of Midway, four Japanese aircraft carriers were sent into the abyss. Pacific Crucible tells the epic tale of these first searing months of the Pacific war, when the U.S. Navy shook off the worst defeat in American military history and seized the strategic initiative. As the time between the present and World War II grows, so, too, does the importance of remembering the details of what transpired in one of the world’s greatest tests. Though much has been made of D – Day, for Canadian soldiers the six days following would prove to be their true test of mettle. 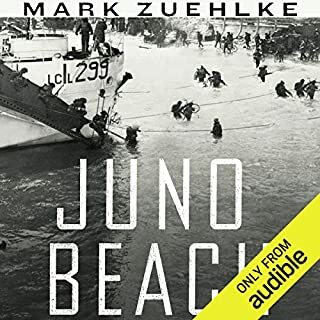 The gritty and masculine delivery from accomplished narrator, Kyle Munley, in this audiobook by Mark Zuehlke puts listeners right on Juno Beach as Canadian soldiers advance on German forces and help make way for the eventual Allied victory. 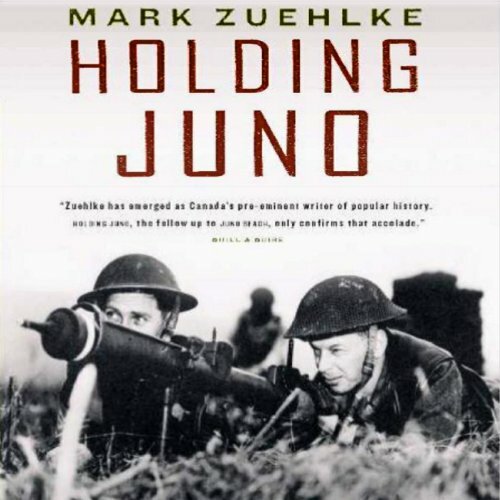 With intense first - person accounts combined with precise factual details, Holding Juno proves again why Zuehlke is one of Canada’s leading historical writers. 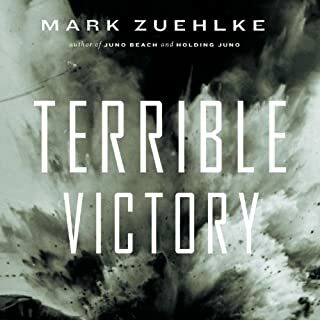 ©2005 Mark Zuehlke (P)2013 Audible, Inc. While Mr. Zuehika's material is top notched it is often made suspect by Mr. Munley's mispronunciation. Words like PIAT, RAM, Haida are all badly pronounce, he even mispronounced adjutant. 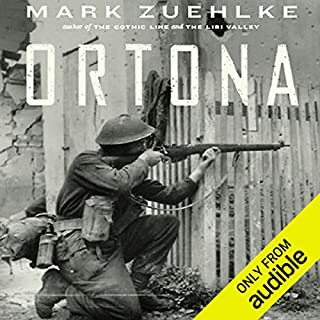 Even though I know these mistakes aren't Mr Zuehika's fault such basic mispronunciations can not help help but cause the listener to question the overall accuracy of the book. The fault for this I lay squarely at the feet of the book's audio director, better care should have been taken to ensure words were properly pronounced. Which is a real shame because Mr. Zuehika's 'just the facts' primary document prose is excellent. Especially for such a critical book which covers a period that has been given lip service by so many historians. If D+1 to D+7 was better covered outside of academia maybe such units as the 12th SS wouldn't be lionized the way the are today. loved it!! very interesting and well worth the time. I highly recommend this to anyone. For me the narration is far too "americanized" and is also strangely stilted in delivery; hence the very low rating from me? This is a great shame for the author and story (which if read with more feeling & accuracy would probably rate 5 stars from me). 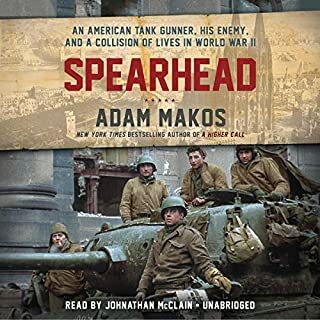 A fascinating account of unit actions, which are rare in this genre, covering the few days after D-Day, which proved critical to the overall success of Operation Overlord. The account is visceral sparing nothing to the imagination as to the horror of the battles that raged between the Canadian regiments and their nemesis the 12th Waffen SS Hitlerjugend Panzer division. A good antidote to the recent lionising of the latter division, which tends to gloss over the atrocities committed in their name. I found the coverage of the little known contributions of the Canadian naval and medical services during this period very refreshing and insightful. Zuehlke has done Canada and the world a great service in bringing the struggle of those who served to light. The narration was good, as I am mindful of previous critical comments on this aspect, which I felt were unwarranted. A superb piece of work.